Thanks to the BBC, on June 14 I’ve had the possibility to watch the footage of the flypast provided by the Royal Air Force to mark the Queen’s official birthday. 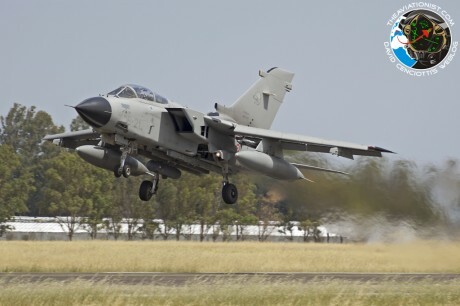 The flypast involved 57 aircraft of 14 different types ranging from the WWII Spitfires, Hurricane and Lancaster, to the Tornado and Eurofighter Typhoon who overflew the Buckingham Palace in large formations. Absolutely stunning in my opinion, the sight of 16 Tornado GR4, a formation composed most probably by all the airworthy “Tonkas” from RAF Marham. Noteworthy, among the 5 aircraft of the Battle of Britain Flight, there was also the only airworthy Lancaster bomber in the UK. The flypast comprised a C-130J flanked by two King Air 100, a 9 ships formation of Tornado F3s, a formation of 9 Typhoons, an E-3, a VC-10, a Nimrod and a C-17 flying along with two F3s each, and a Tristar flanked by a pair of HS125. According to the RAF website, the formation assembled over the North Sea and routed towards Buckingham Palace with the support of two Hawks from 100 Sqn and an A.109E that performed weather checks and acted as a camera ship. The formations flew over London at altitudes between 1.300 and 1.700 feet along a corridor 20 NM long that was flown in 4 minutes. 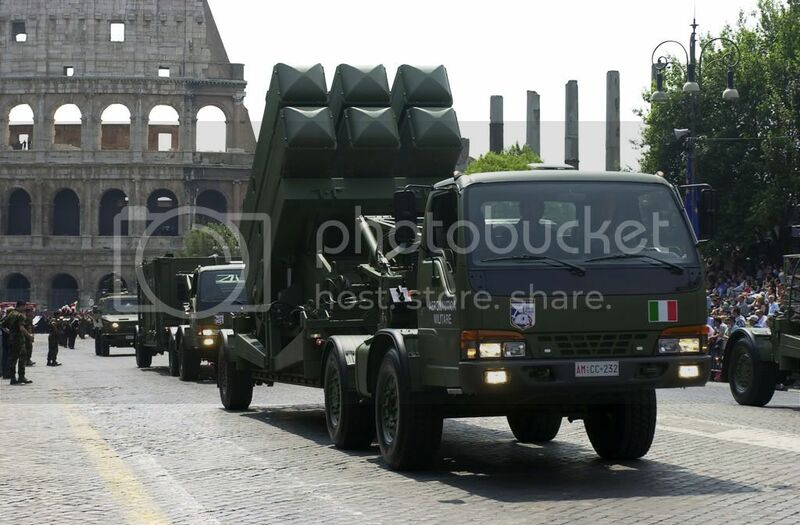 Watching the images of all those formations made me compare the RAF flypast to the once traditional Italian flypast provided by the Italian Air Force on June 2 until 2006. 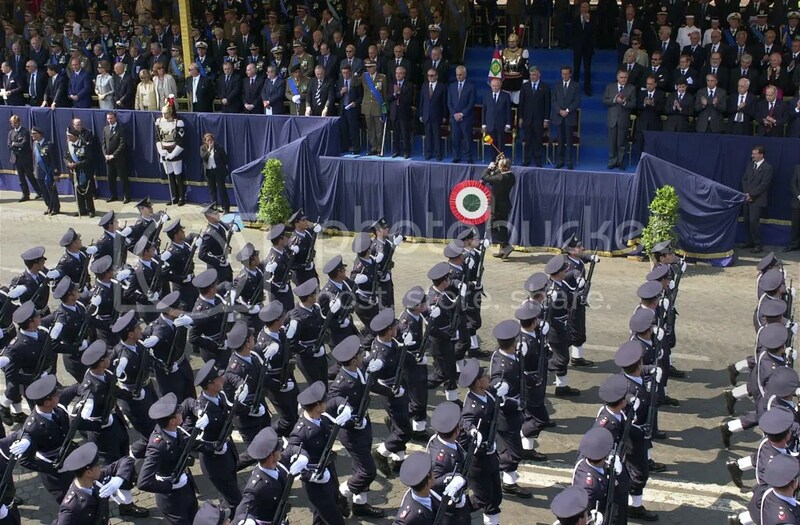 In the last two years, the only formation providing a flypast during National celebrations is the one made of 9 MB339 of the Frecce Tricolori: budget constraints don’t permit the ItAF and other Armed Forces to “waste” flight hours. 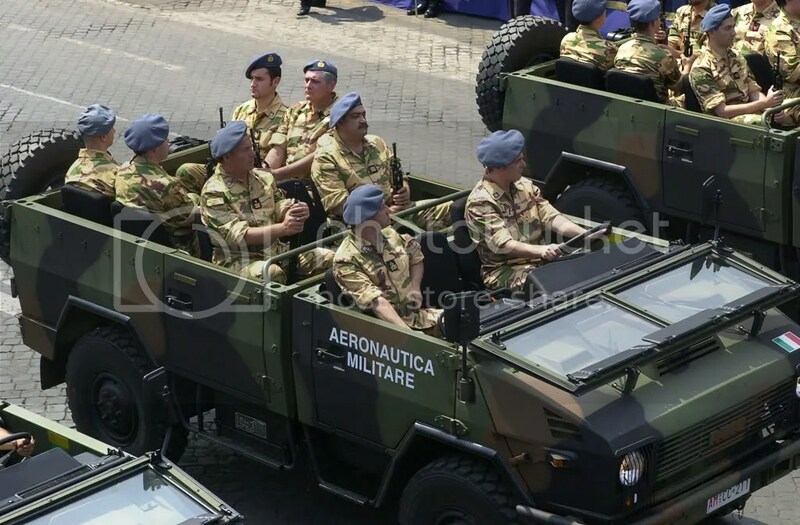 Actually, even in the 2001 – 2006 period, the flypasts taking place in Italy were light years away from those that brought hundreds of aircraft and large formations of fighters above Rome: in the ’70s and ’80s, the flypast was one of the highlights of the military parade (that took place almost all years from 1948 to 1992, when it was suspended), and I have pictures of formations made by 18 F-104s and 18 G.91s or 36 F-104s overflying The Eternal City. Look at the following video (1:38) to have an idea of a flypast of 18 F-104s in 1972. 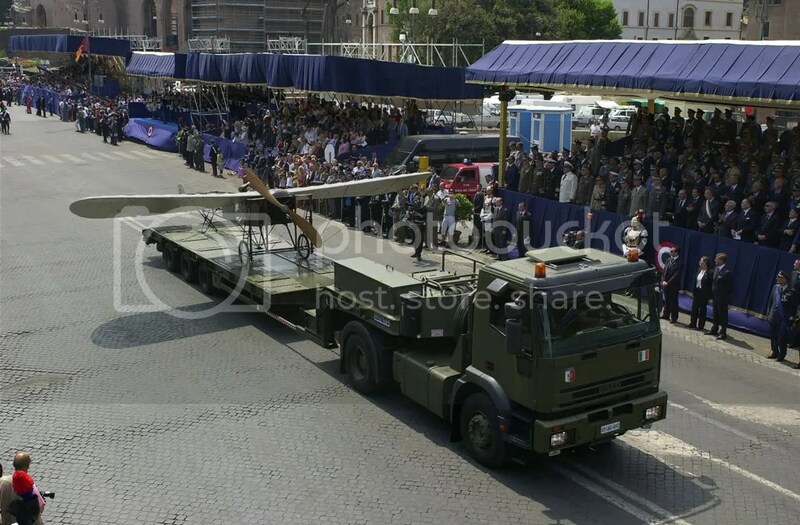 Eight years after it was abolished, in 2000, the parade with an interesting old-style flypast was planned, but something very “Italian” happened: after performing 3 rehearsals neitheir aircraft was cleared to perform the flypast on Sunday June 4, 2001. 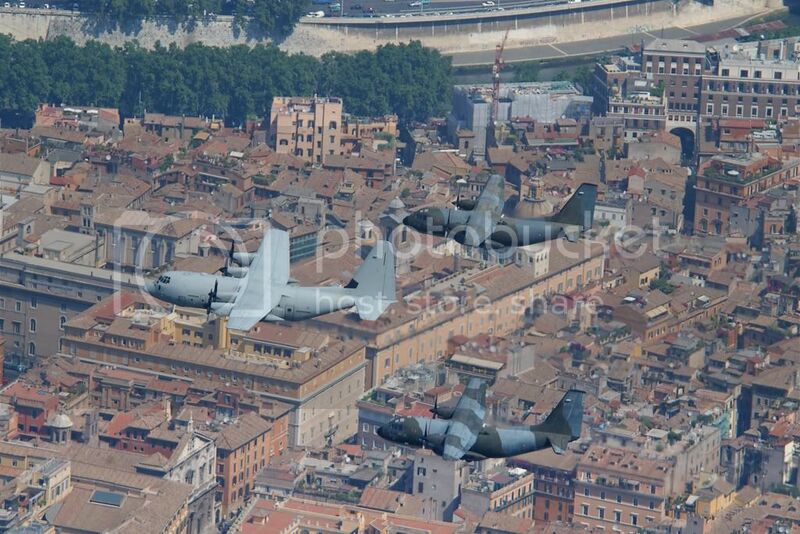 All those formation, it was later explained, would have rendered the flypast too military! Strange isn’t it? 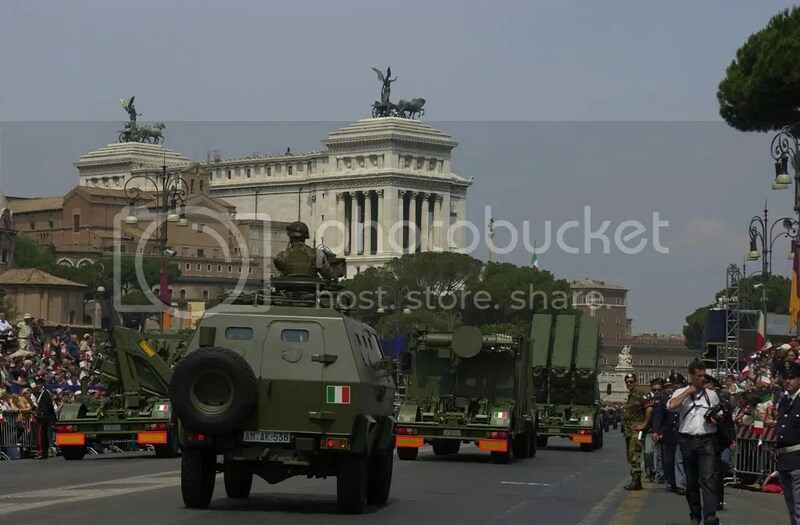 Especially if we consider that the whole parade is provided by all the Armed Forces (Navy, Army, Air Force, Carabinieri, Coast Guard, Police, Guardia Di Finanza etc). 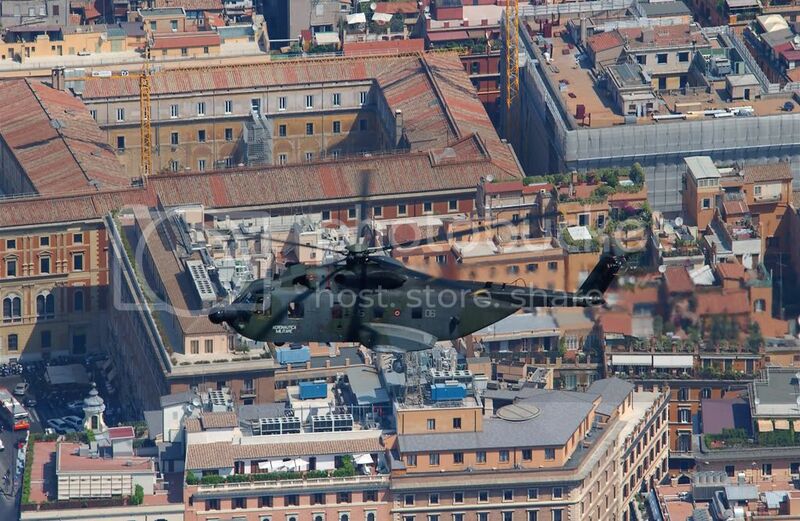 In 2000, 100 aircraft, spares comprised, from 8 airbases, were expected to fly over Rome. Even if it was never confirmed, it was decided to keep the aircraft on the ground since many citizens (and politicians) protested for the “show of force”, for the noise pollution, for the Widow Maker (the F-104) overflying the Nation’s Capital etc. 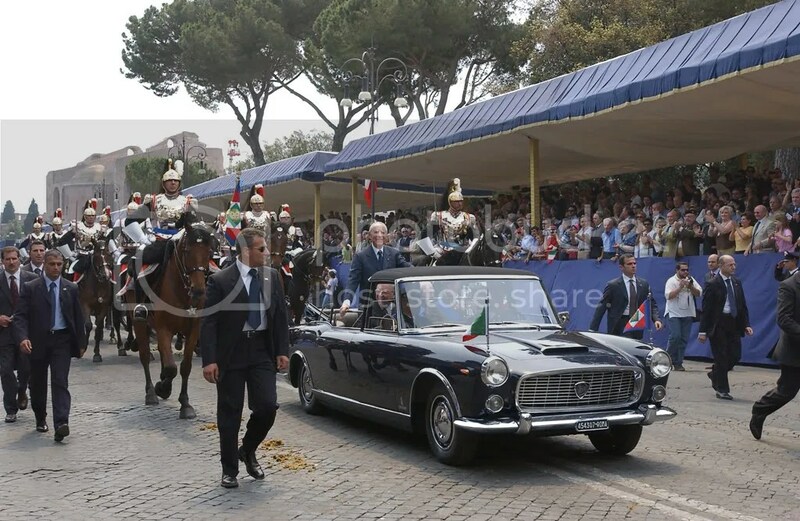 As a consequence, only the Frecce Tricolori could attend the flypast and the following elements of the Aeronautica Militare were cancelled: 3 MB339 of the 61° Stormo (callsign “Veltro”); 3 SF-260 of the 70° Stormo (“Vespa”); 3 NH-500 of the 72° Stormo and 3 HH-3F of the 15° Stormo (“Eolo” and “Ettore”); 1 C-130 and 2 G-222 of the 46^ Brigata Aerea (“Vega”); 3 Atlantique of the 41° Stormo (“Vicky”); 3 Tornado IDS and 3 ADV of the 36° Stormo (“Vortex” and “Vulcan”), 3 AMX of the 51° Stormo (“Violet”); and 3 F-104 of the 5° Stormo (“Victor”). 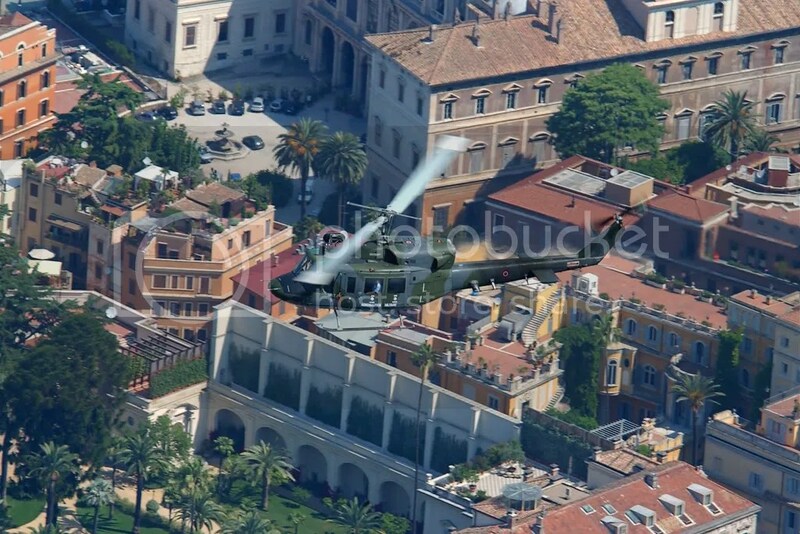 The fixed wing aircraft (whose c/s began with the letter “V”, for “Velivolo”, “Plane”) were expected to fly at 1.500 ft AGL, while helicopters (with c/s beginning with the letter “E”, as “Elicottero”, “Helicopter”) were expected to fly at 1.000 ft AGL. 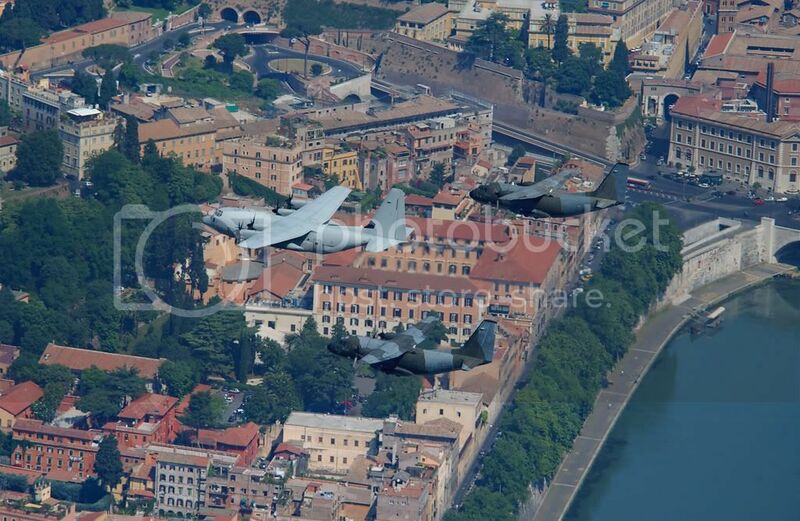 In the following years the flypast took place but, as a compromise, only aircraft with two or more engines were authorized to overfly Rome and as a consequence, in 2001, only 48 aircraft (helicopters comprised), took part to the flypast. 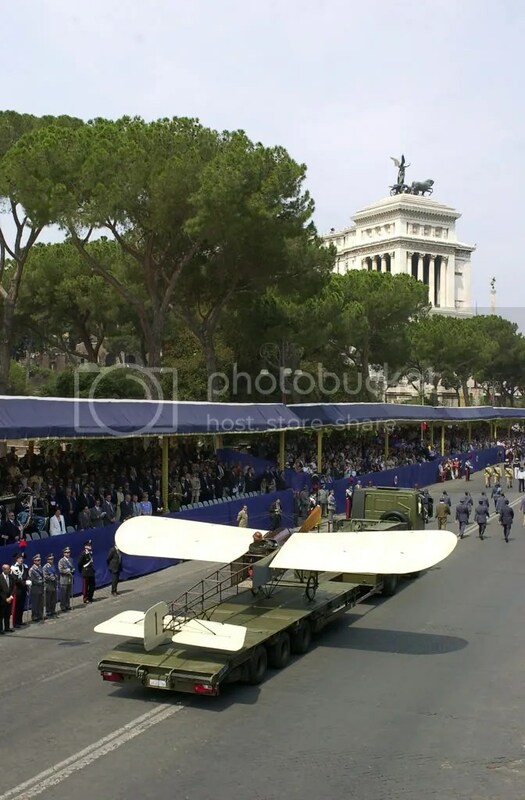 In 2002, the aircraft were 68 but, despite the single-engined aircraft were still banned (MB.339PAN of the Frecce Tricolori display team aside), nobody noticed that in spite of the 4 nozzles, the Italian Navy Harriers with a single engine were cleared to overfly the center of Rome. 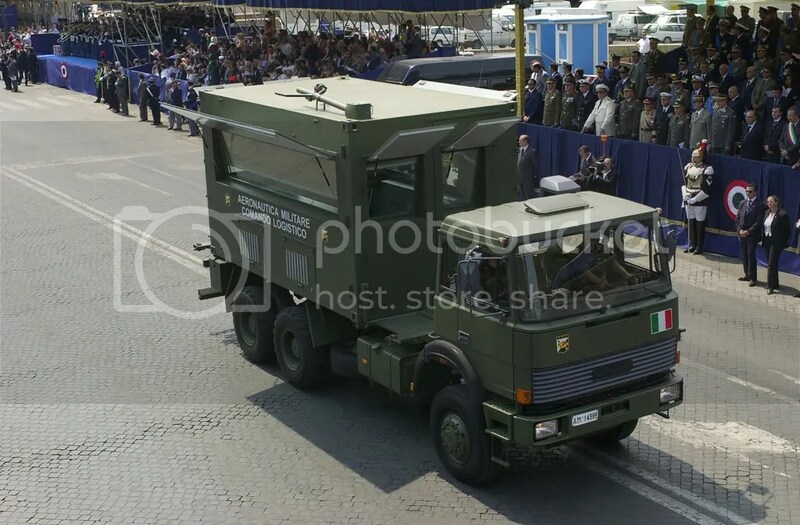 The 2003 edition saw only 54 aircraft belonging to all the Armed Forces and Corps performing the flypast; among them there was no AV8B+. 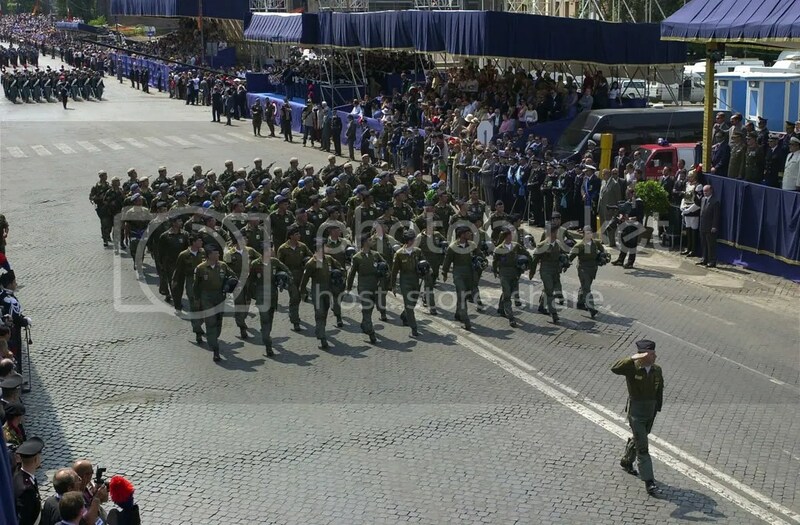 Until 2005, when the last one was performed, the flypast had approximately the same shape with less than 30 aircraft and around 20 helicopters. 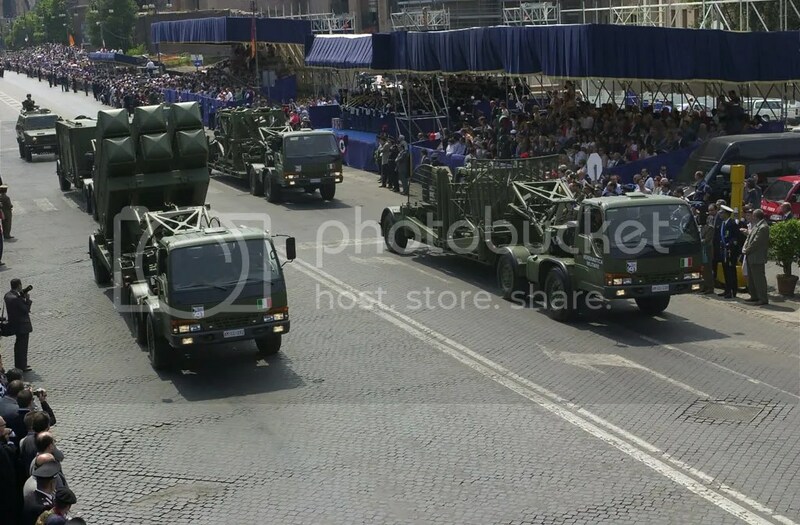 The following pictures (courtesy Troupe Azzurra, Aeronautica Militare) show the 2003 edition of the military parade.